I’ll admit it, I’m a cheerleader. Not the kind you remember from high school with the short skirts and pom-poms. No, I’m more of a cheerleader at life. I LOVE encouraging my friends in their endeavors. I’ll happily comment on their wedding photos, coo at their baby pictures, and congratulate their job promotion announcements. When a friend in Alaska asked everybody to vote for her baby in a state-wide contest, I clicked and voted every day. One of my friends living clear across the country was hosting an art gallery showing and I made sure to pass along his news. Not because I would be able to attend, but because I was so happy and proud of what he’d achieved. 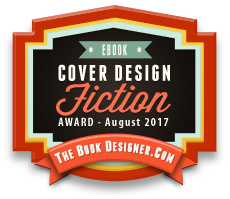 Recently, another author I follow had a book enrolled in a contest. The one with the most votes won. I was glad to click on that, too. Promotions, reviews, cover reveals, events…you name it, I’m happy to crow my friends’ achievements. It makes me feel like I can help support them in my own little way, and it feels good! This wasn’t a big push. I spent five bucks on Fiverrr for a small newsletter blast with bknights, but other than that, didn’t spend anything. I’ve basically decided I’m not going to put a lot of resources into promoting Secret Hunger until I can get Secret Need published. No sense in chasing sales with money if I have nothing to follow-up it up with. That being said, I had a lot of friends help me spread the word about the promotion. It got me to thinking about cheap, easy ways readers and fellow writers can help an author out. Buy the book. – Ha! No-brainer, right? I wish I could say the love of writing was payment enough, but unfortunately real life forces me to have to do things like eat, clothe myself, and power my computer so I can keep writing. The good news is, most indie e-books don’t cost a lot. The average price tends to be $2.99 – $4.99, and that’s not including whether it’s on sale. Leave a review. – I know, I know…another gimme. Hey, it’s an oldie but goodie for a reason! The fact is, most people trolling for a new book aren’t going to pick a book with only a few lonely reviews. But, wait! I’ll give you more to think about. If you’re a reader and have a Goodreads account, consider leaving your review both on Amazon and Goodreads. It doesn’t have to be two different reviews. Copy and paste that sucker and post it in both spots (or other points of sale.) Not everybody who is on Amazon is on Goodreads, and vice versa. Best practice: If you happened to purchase your copy of the book at a book fair or author’s event, your review won’t have a “verified purchase” label on it. Be sure to mention where you came across your copy to help legitimize your review. There’s been a lot of talk and controversy about authors buying reviews. I’m against the practice (as I’m sure most authors are,) but the consequence of some people’s bad behavior is that Amazon has been actively pulling reviews that seem “suspect.” By including where you got the book, your review is less likely to be taken down. Talk it up! – Did you like the book? Were you experiencing withdrawals by the time you got to “The End?” Then make sure to let others know about the great read you just finished. Talk it up with your barista while waiting in line. Tell the lady sitting next to you on the bus. Readers tend to be pretty open to good book suggestions. Who knows? Maybe you’ll meet someone new along the way. Make a post on Facebook. – Granted, as an author I do this all the time, but as a reader you may not. Is it weird to write a post about the great book you just read? Personally, I don’t think so. If you do make a post, be sure to include a link to the book your talking about and tag the author! That way they’ll get a notification and know who to thank for spreading the word. Share a Facebook post. – This is the easier sister of my two Facebook suggestions. Maybe you found an author that you love to read and have followed their page. 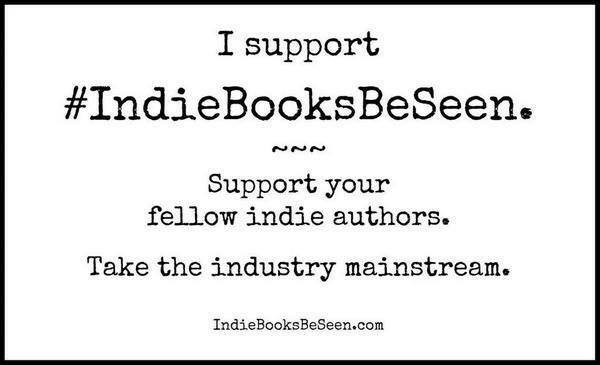 If you see them make an announcement about a book promotion, cover reveal, or any other major news, consider sharing it! This is especially helpful for us little guys. My sphere of readers is only so big (and, let’s face it, is mainly comprised of friends and family.) I may not know your quirky Aunt Gertrude who loves romance novels, but you do. Sharing an author’s announcement may be all the introduction we need. Best Practice: Mind you, I’m talking about sharing the post, not liking it. While liking a post does help prioritize it in the “top stories” news feed, it’s much less helpful. This is not to say you shouldn’t like a post, but if you really want to help your author friend out sharing is better. Tweet! – Similar to the Facebook suggestions mentioned above. If you’re on twitter, make a tweet about it! Give it a few hashtags that you think would reach a wider audience. You can’t go wrong tagging the genre of the book. Or, keep it generic and use something well known like #amreading or #books. Tweet! Tweet! – Retweeting the author helps in the same way that sharing a post on Facebook does. And, just like on FB, retweeting helps reach a wider range than simply liking it. Best Practice: You can really make your retweets help by quoting it and writing a little response to the original tweet. That gives the author another way to retweet what you’ve said and create even more presence. Check to see what hashtags were originally used. Feel free to throw a couple of new ones in, where appropriate. This will help the message get listed in even more topics. Ask your local library to order it. – As a new indie author, I’ve pretty much resigned myself to the fact that my books are not going to be available in most brick and mortar stores. Imagine my surprise when I had a reader send me a photo of my book on the “New Books” shelf at the Newburyport Public Library. It was such a thrill! Most libraries are open to ordering a couple of copies of a book, as long as they are professionally produced. They’ll be more inclined if the author is from the local area or patrons are requesting it. Blog about the book. 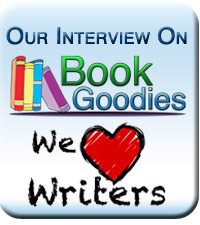 – Reach out to your author friend and ask them if you can feature their book on your blog. Invite them to do an interview with you or write a guest post on your blog’s topic. I’m sure they’d be thrilled to hear from you. Best Practice: Although an author may be happy to write a guest blog post, try to be flexible on the dates. They may be working under a deadline or have a lot on their plate. Suggest it to your book club. – Last June I had the opportunity to speak about Secret Hunger to the “Mystery and a Cup of Tea” book group from Langley-Adams library. It was so much fun being able to hear what their impression of the book was! We talked about how I came up with the idea, character development, the setting, the steamy scenes, and everything in between. Not only that, but there were fourteen copies of my book sold in the process. That was huge for me! Obviously, as a reader, you’re not expected to buy fourteen copies of the same book, but suggesting it to a book club accomplishes pretty much the same thing. Best Practice: Many authors are happy to speak to book clubs, especially smaller indie authors such as myself. Technology such as Google hangouts or Skype make it even easier to connect, even if you don’t live in the same region. I urge you to reach out! You never know who you might get a chance to talk to. So, there you have it. Ten inexpensive and free ways to help an author friend. Most of these don’t take but a second to click a button. That may not seem like a big deal to you, but speaking from this past week’s experience, it means the world to the author. And to everybody who shared and re-tweeted my posts this past week – thank you for helping me boost my signal! What ways do you support your favorite creatives? If you’re an author, what experiences have you had from readers helping to get your name out? Excellent points Satin. There’s lots followers, friends, and family can to do to help an author out, they just don’t always know what that is. Great reminders on how we can help our writer-friends, Satin! I’m like you – I love to promote my friends and what they are doing! Thanks for stopping by, Kathy! One of the biggest fallacies in this industry is that selling books is a zero-sum game. It just isn’t true. Readers find the time to read. Period. I think this is even more true with the growing popularity of indie authors because the books tend to be set at a lower price point. It makes authors helping authors even more relevant.